Add a dash of bold magenta red to the edge of a border or along a rock wall with this stunning Creeping Phlox. 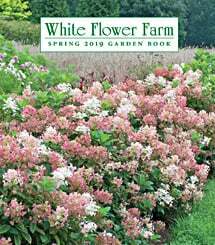 Plants become a delightful blanket of flowers in the spring, and are tough and durable the rest of the year, given well-drained soil in full sun. Trim back to the low green foliage after flowering to encourage lush new growth. For more information on growing Phlox, click Growing Guide. I planted this ground cover phlox in 2017, and it bloomed beautifully this year. What a great color. Draws your eye immediately. And it made it through a rough winter. I was a little worried. But it did not disappoint me.